NEBOSH Chief Executive Teresa Budworth looks at the reasons behind substantial growth in the Middle East EHS market in recent years, and how specific areas of risk such as safe-lifting are becoming better managed and regulated. The global Environmental Health and Safety (EHS) market has grown at a substantial pace in recent years and is predicted to expand even further over the next eight years. According to a recent report from Transparency Market Research (TMR), the EHS market - which includes services such as consulting, training, implementation, auditing and certification - is currently valued at more than US$ 3 billion worldwide. TMR has estimated a compound annual growth rate of 12% for the EHS market until 2024, when overall it is expected to exceed US$ 8 billion. Perhaps the answer can be found by looking back to the discovery of oil in the Middle East in the first half of the 20th century and the energy industry’s subsequent need for effective health and safety procedures. Over the following decades, the discovery of oil led to the development and adoption of industry standards in the region. Multinational organisations from the United States and Europe also brought with them their own developing industry standards, which helped to influence the evolution of EHS in the Middle East, leading to the adoption of international standards such as International Labour Organization (ILO conventions). Perhaps the most important development in recent years is the development of local legislative frameworks, standards and systems. Jassim Darwish, Safety, Security, Health and Environment Manager at Gulf Petrochemical Industries Co. (GPIC) in the Kingdom of Bahrain, agrees that EHS growth has been driven by both the external influence of multinationals and an increasing desire locally to regulate and develop relevant standards. However, he also pinpoints how enthusiasm for EHS in the Middle East is equally fuelled by achieving business success. Dr Waddah Ghanem is a highly respected and qualified EHS professional based in Dubai, who is currently Executive Director of EHSSQ and Corporate Affairs at the Emirates National Oil Company (ENOC) Group. He believes that a key driver behind the ongoing growth of EHS in the Middle East has been significant movement towards a more regulated landscape as well as greater public scrutiny. Dr Ghanem told me: “Laws and regulations have been developing in various jurisdictions - free zones and municipalities - but I would say that incidents, mainly in the construction industry and especially in high profile projects such as major infrastructure, power and energy as well as in real estate and high rise buildings, have led to an inevitably more rigorously regulated environment. So how are success-focussed industries, multinational influencers and local regulators working together in a practical sense in the Middle East? 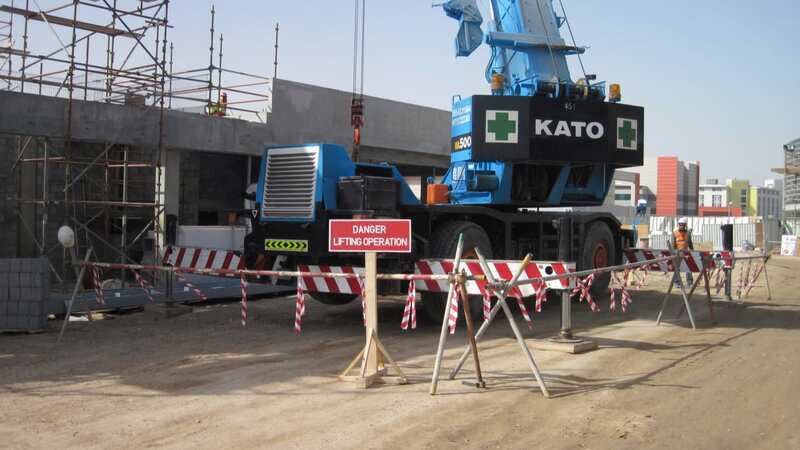 According to the Lifting Equipment Engineers Association (LEEA) an increasing number of employers and other stakeholders in the Middle East, such as government bodies, are recognising that lifting is a safety-critical activity that plays a key role in industries including construction and the oil, gas and renewable energy sectors. 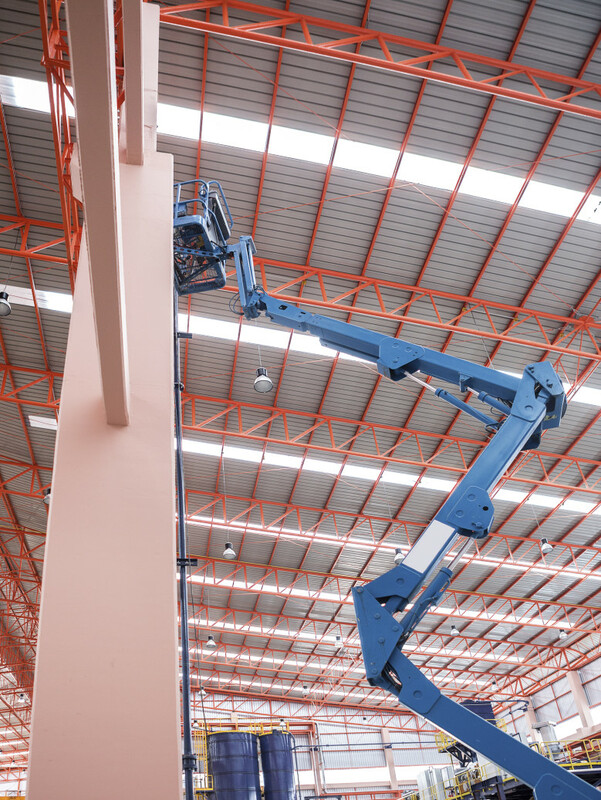 Multinational expertise on the ground also continues to influence local EHS practice when it comes to the safe use of cranes, winches, manual hoists, suspended cradles, forklift trucks and other lifting appliances in the Middle East. UK national Kevin Winn is based in Dubai and is Middle East Regional Lifting Manager for leading construction organisation Carillion. In Britain, Kevin has worked on several large infrastructure projects including Heathrow Terminal 5, the Second Severn Crossing and the Sellafield Nuclear Power Station. Working with Carillion in the Middle East, he is part of various “mega-projects” in the UAE, Oman, Qatar and Saudi Arabia, some of which have involved 25,000 personnel, over 50 tower cranes, more than 30 mobile cranes and numerous telehandlers. Kevin’s key focus is on the training of employees to ensure compliance with standards that would normally apply in the UK. “We have a very varied workforce from countries including India, Pakistan, Bangladesh and Nepal that all have governing bodies with different labour agreements. Their knowledge of safety is one of our main concerns, especially as we work to British Standards such as BS 7121 and UK regulations in the form of LOLER, for example. Samples of Kevin’s training materials are shown in figures 1, 2 and 3. The International Powered Access Federation (IPAF) promotes the safe and effective use of powered access equipment worldwide. Jason Woods, who is IPAF’s representative in the Middle East and India, confirms that there is an increasing demand in the region for specialist local training on issues such as safe-lifting and the use of Mobile Elevating Work Platforms (MEWPs). One excellent example of how training programmes and other elements of good practice are being reinforced through the work of local regulators can be found in the UAE. The Abu Dhabi Occupational Safety and Health Center (OSHAD) was established in 2010 to ensure the implementation of a comprehensive and integrated management system for occupational safety and health (OSH) and to oversee all OSH issues at Emirate level. 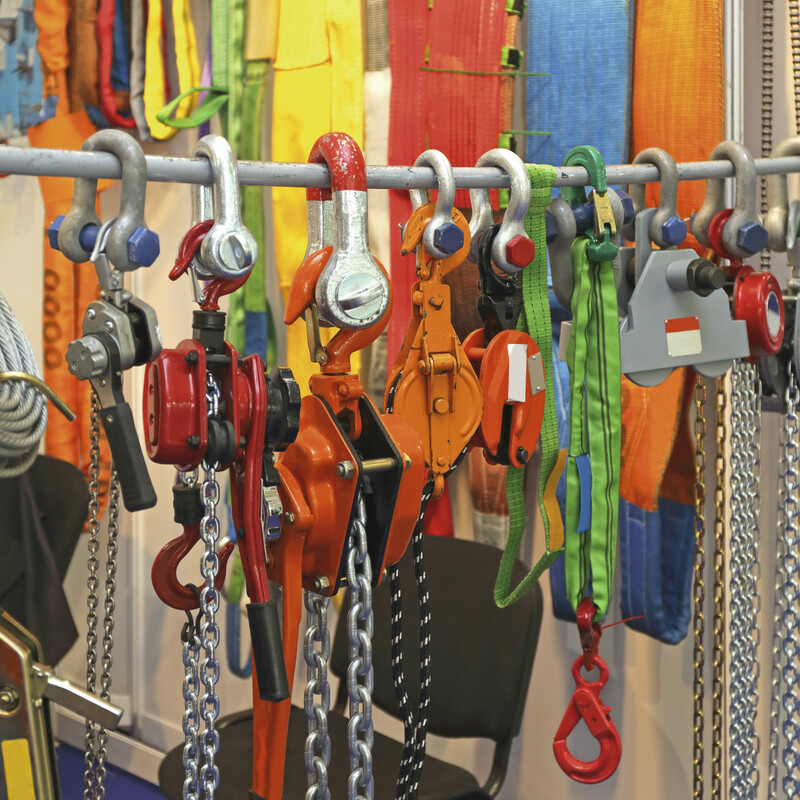 OSHAD has developed a wide range of codes of practice, including CoP 34.0 Safe Use of Lifting Equipment and Lifting Accessories, which was revised in July 2016. OSHAD CoP 34.0 applies to all employers within the Emirate of Abu Dhabi and is designed to incorporate requirements set by OSHAD and Sector Regulatory Authorities. It establishes clear requirements and standards, so that risks associated with the use of lifting equipment and lifting accessories are assessed. This allows control measures to be implemented in accordance with the hierarchy of controls. Control measures are also taken to prevent injury, illness and disease to people who might be exposed to risks arising from those activities. Overall as the regulatory landscape continues to evolve and mature in the Middle East, greater control appears to be being exercised over risks associated with safe lifting. The final link in the chain is of course the implementation of best practice through local practitioners who are highly qualified and experienced in their EHS roles. Dr Waddah Ghanem added: “At ENOC we always begin with a discussion around whether the lift can be avoided. Of course this is not always possible, so elimination of the potential risk by reducing the actual lift weight is of paramount importance as a first step to consider. If a heavy lift is required, we begin with risk assessment. All team members from all disciplines are involved – EHS, engineering, construction, project and so on. We involve the lift specialists, such as the crane operators, in the risk assessment process. We use certified and experienced personnel only, and these lifts – unlike normal lifts – require a full staged lift plan with full engineering calculations and alternative and emergency procedures that are made available beforehand. “With regard to the lift process, the plant where the lift will be taking place will be shut down within reason and only critical processes will continue to run. In summary there have been significant improvements in health and safety performance across the region, due in no small part to the adoption of world-class health and safety standards by governments and leading industries. Jassim Darwish expanded on the recent progress that has been made in HSE in the Middle East: “In the region, especially over the past 10 years, governing bodies and agencies have begun the task of proactively implementing uniform health and safety standards across various industry verticals in order to adhere to world environmental and occupational safety standards. It is remarkable to see the change over the past few years, with both public and private organisations taking up the baton to ensure that a comprehensive assessment is conducted to add value to their stakeholders on a sustainable basis.